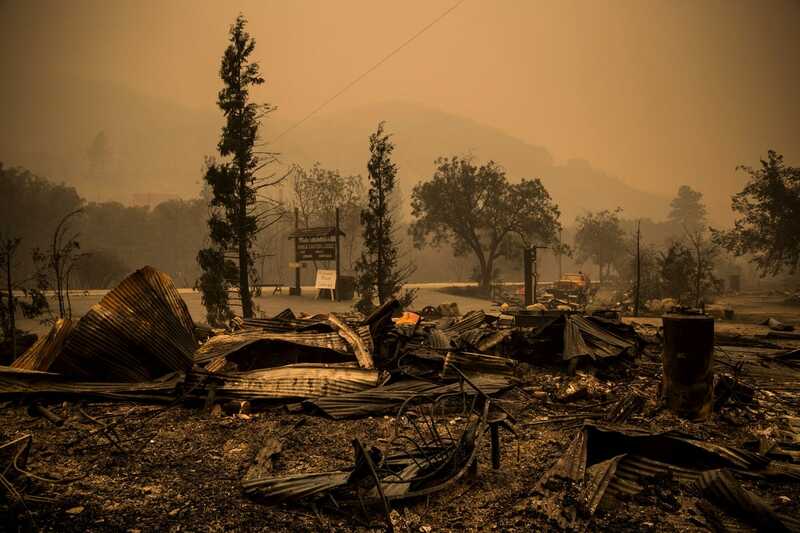 California’s water-starved landscape gave way to a series of wildfires earlier this summer that continue to ravage the state. 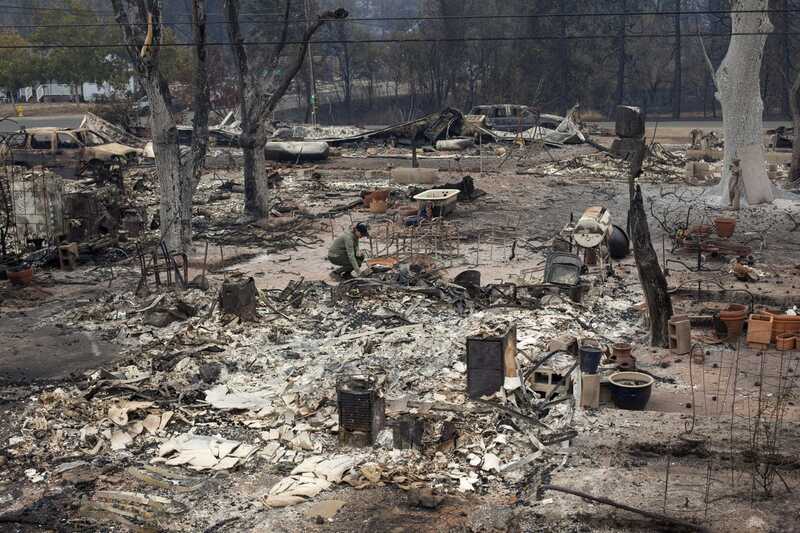 So far, the fires have scorched about 350 square miles, an area which is slightly larger than New York City. 1000s of people have been forced to evacuate their homes. Resorts & lodges that were once a burgeoning vacation escape are now a pile of debris. & an unknown # of farm animals have been left behind. 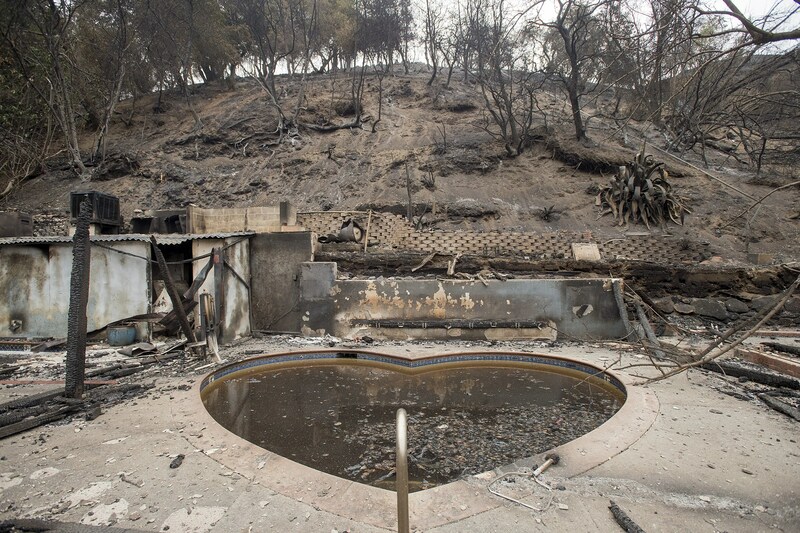 The once elegant decor of the former Harbin Hot Springs Resort in Midtown, California is now covered in ashes after being attacked earlier this month by the Valley Fire. 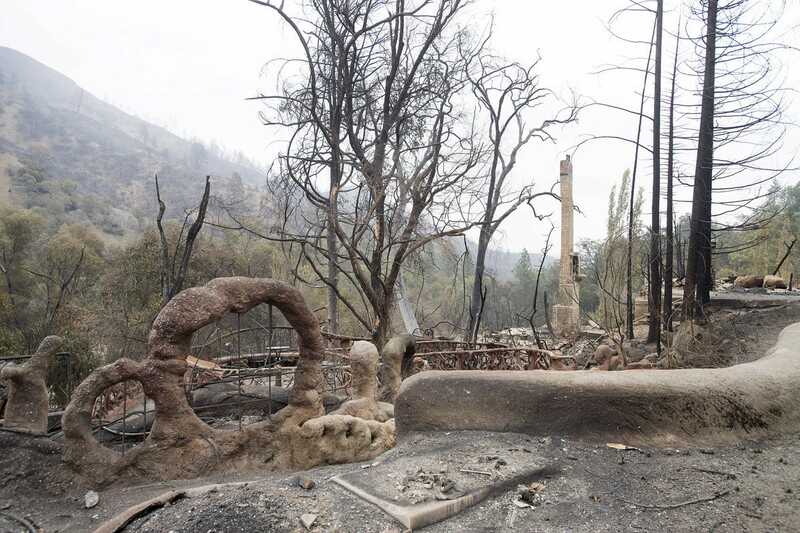 So far, that conflagration has been the most destructive western wildfire of 2015. 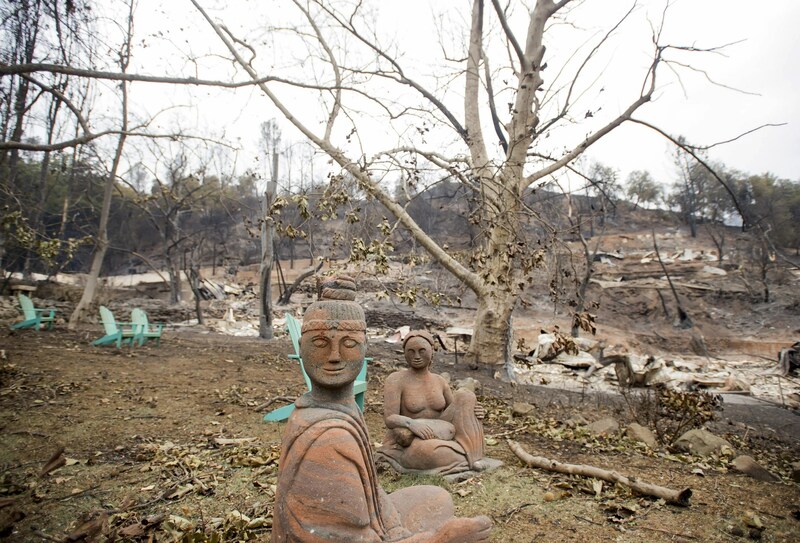 But it couldn’t erase the eerie smiles on these stone statue’s faces. 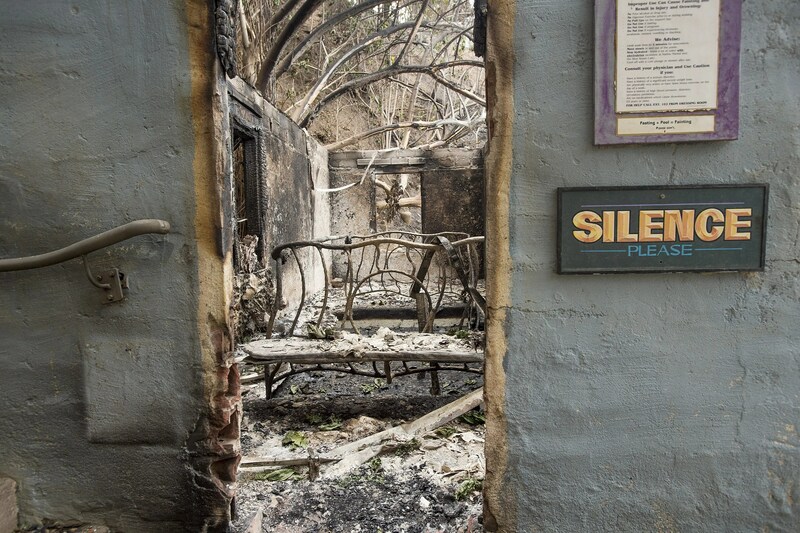 Deeper inside the resort, the inside of a bathhouse has been destroyed on the inside, but the “SILENCE” sign outside remains almost entirely untouched. Here’s another shot of the resort. While it’s obviously no longer open, you can contribute to its Staff Relief Fund, which raises money for the employees who no longer have a place to work. 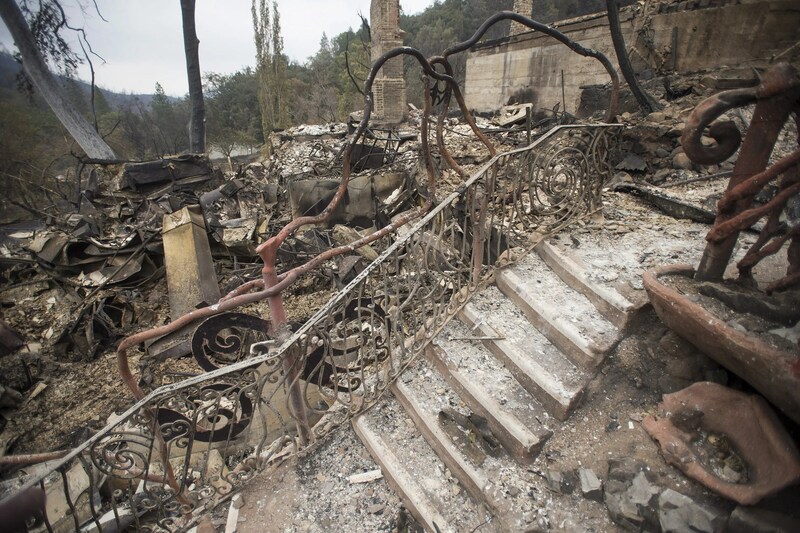 The Valley Fire didn’t just destroy resorts — it swallowed up homes as well. 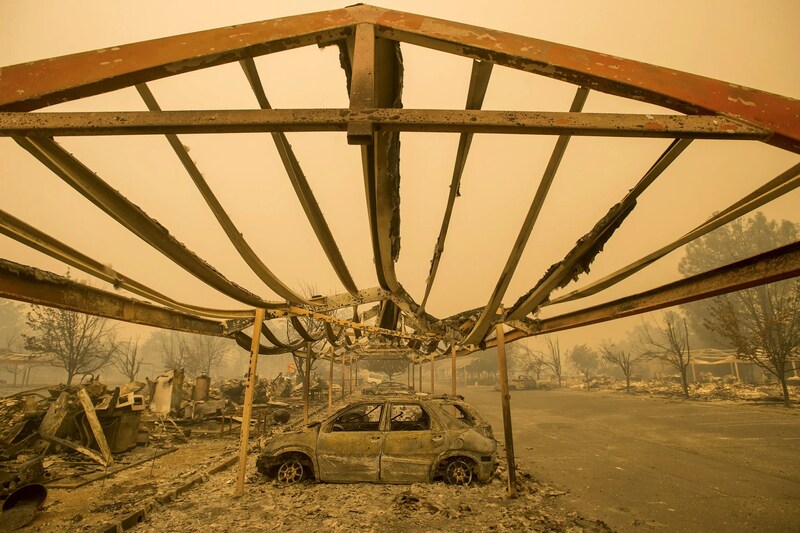 Here, only the metal shackles from a car garage & the shell of an abandoned car remain in Middletown, California. Despite California’s severe drought, some home-owners kept swimming pools. Perhaps ironically, this 1 is now murky w/ash & dirt from the fire that destroyed everything around it. 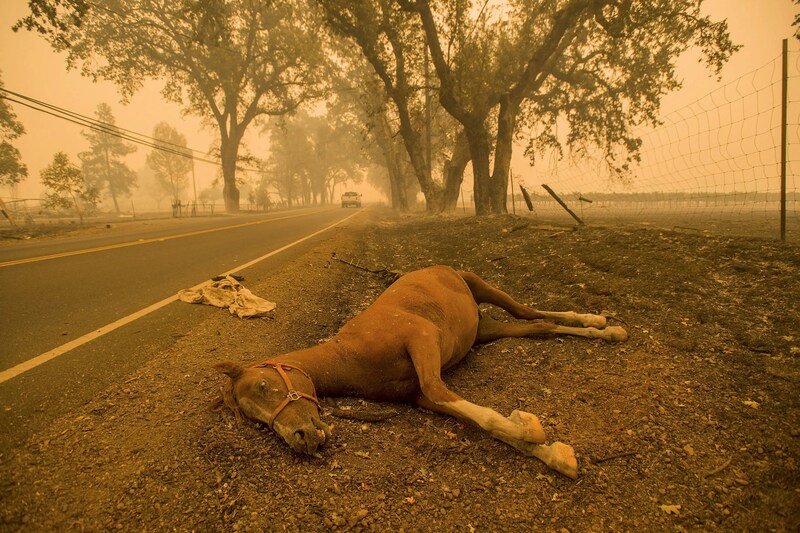 Many animals were left behind during evacuations. The death toll remains unknown. A woman returns to the remains of a home she once lived in as a child near Middletown, California. The hazy skyline of California’s Sequoia National Forest stands behind what is left of the Kings Canyon Lodge, located southwest of Fresno. Previous Article 2015 – Blood Moon, disastrous ‘tidal’ flooding, sea levels rising….